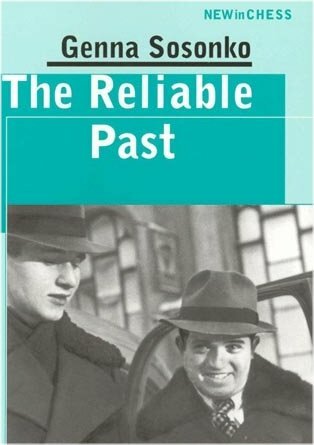 The Reliable Past is a sequel to Russian Silhouettes which was a collection of portraits from the Golden Age of Soviet chess. In Silhouettes Sosonko, who left Leningrad to settle in Holland in 1972, described players and other key figures of Soviet chess. In this book which is a set of articles he wrote for New in Chess Magazine along with some added material, Sosonko writes more about chess in the Soviet Union as well as some of the other great players he came in contact with like Max Euwe, Anthony Miles and Jan Timman. As Silhouettes, this book is narration only…no games, no diagrams. But don’t let that stop you! There are18 pages with photos and Sosonko tells stories of the personalities in a manner that makes them seem real. Like Denker’s The Bobby Fischer I Knew, Sosonko names each chapter with a description of that particular player that describes their personality. 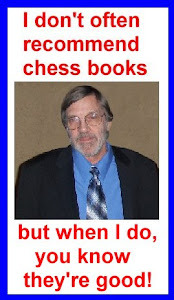 For example, the chapter on Anthony Miles is titled “The Cat That Walked by Himself” and the one on Viktor Korchnoi is titled “Obsession.” Jan Timman is titled "A Born Optimist." Some other players discussed are Salo Flohr and Edward Gufeld. He didn’t seem to care for the latter much. But then he appears not to be the only one. Korchnoi once said of Gufeld: "...together with Mr. Sosonko and through his article and this letter I dissociate myself from that tramp". One chapter describes Anatoly Lutikov, a violent tactician with many victories over the elite of the chess world, who never bothered to study chess and died in poverty. Then, like in Denker’s book, there is a nostalgic look back at the Central Chess Club which was the meeting place of the greats, not-so-greats and just plain weird. As has been pointed out by several people reviewing this book, Sosonko’s writing is melancholy and pessimistic and he does not appear to have enjoyed is profession as a professional player very much. ..... The last period of his life was a difficult one. Deficiencies, camouflaged in youth by optimism and energy, become more evident in old age. In his case this occurred on the background of a severe, debilitating illness: the sugar content in his blood exceeded all permissible levels. He could no longer drink: his head would begin to swim after the first glass. He could no longer concentrate at the board, and his hands, which previously used to choose the required squares for his pieces, would now dispatch them into premature, cavalier attacks, easily parried by his opponents. Lutikov's attacks on the chess board began more to resemble ventures, the victim of which he became himself." If you enjoy reading about the great masters of the past then this book is one you won’t want to miss. I have both books and really enjoyed them. No instruction but Sosonko makes the personalities copme alive.